their equipment and livestock the 60 volunteers loaded up a flat boat and started down the Wabash River to New Orleans and from there to Texas. The trip took three months and like many of the volunteers from the United States they arrived too late. The Texas Revolution against Mexico was over. However George Fulton still received a commission in the Republic of Texas Army. While in Texas, George, who was mechanically very talented, worked as a teacher, machinist, structural engineer, bridge builder, and railroad superintendent. In 1840 also met Harriet smith, daughter of the first provisional governor of Texas Henry Smith. They married in the same year. Six year later in 1846 the young couple and their children moved to Baltimore, Maryland to seek better business opportunities for George and better educational opportunities for their children. In 1868 Harriet inherited 28,000 acres of land and the family moved back to Texas to manage and grow their holdings. These land holdings and the cattle that were on them soon developed into the Coleman-Fulton Pasture Company. The company was a leader in innovation in the cattle industry and was monetarily successful. 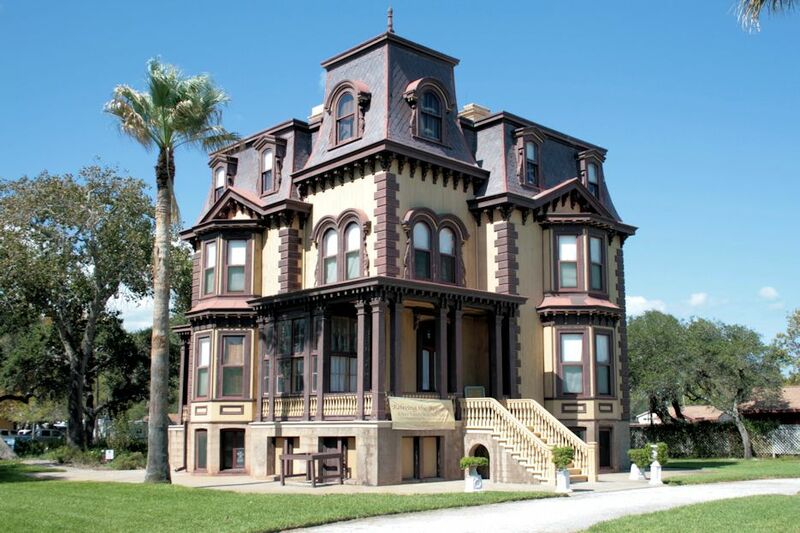 With this great success the Fulton's began building Oakhurst, the Fulton Mansion, in 1874. The structure was designed, by the bridge builder George Fulton, to with stand hurricanes force winds. It had poured and pre-cast shellcrete basement, the upper walls were made of stacked and spiked pine planks and the house also incorporated steel beams to reinforce the floors and the structure overall. The exterior of the house was in the French Second Empire Style with a characteristic slate-shingled mansard roof. The kitchen, located in the basement, served the dining room by way of a dumb waiter to the butler's pantry adjacent to the family dining room on the first floor. All of this with a great view of Aransas Bay.